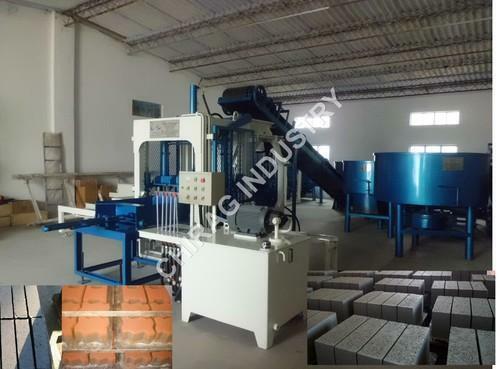 We are the Leading Manufacturer and supplier of wide range of Wall Brick and block machine and Interlock block machine manufacturer. We Chirag Industry, from 2015, are manufacturing a high-quality Woodworking and Edge Banding Machines. Offered products range consists of Combine Woodworking Machine, Edge Banding Machine, and Vacuum Laminating Machine. All offered products are made using best quality material and modern technology under the supervision of quality controllers in adherence to quality norms.Apart from this, the offered product range is highly admired for their features like high strength and performance, simple design, easy to use and longer life. Our professionals make sure that only high-quality products are supplied to the market. Our teams work with the customers to provide them products as per needs. Apart from this, our professionals completely understand the demands of patrons and provide uncompromising quality products range in the market. Together with this, we provide them training and learning programs to update themselves from the modern market norms.